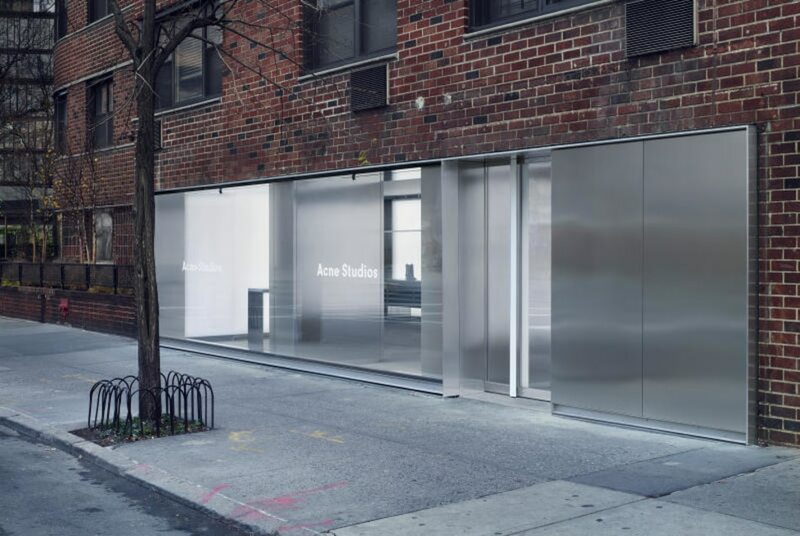 Acne Studios, a monobrand store of Swedish origins born from the mix of art and fashion in New York. 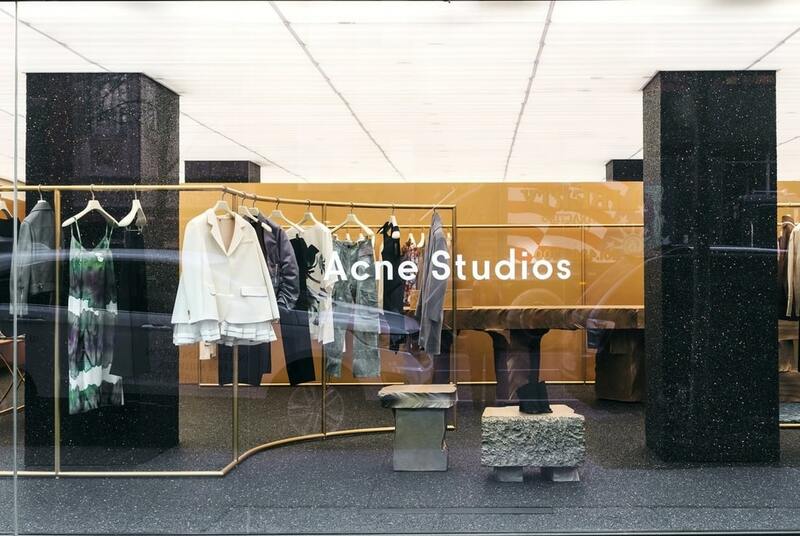 Acne Studios is a monobrand store of Swedish origins based in Stockholm but also opened other stores in major international cities, including New York. The brand was founded in 1996 by Jonny Johansson and in New York it can be found in Madison Avenue, Green Street, Horatio Street and Saratoga district. The fashion house uses a multidisciplinary approach, because the same founder has an interest in photography, art, architecture and contemporary culture. So, Acne Studios became a famous producer not only of prêt-à-porter, but also of magazines, furniture, books and exhibitions. The collections are characterized by a unique design and are handled in the smallest details: clothes are made with high-quality tailoring techniques and thanks to innovative and custom-developed materials and fabrics. 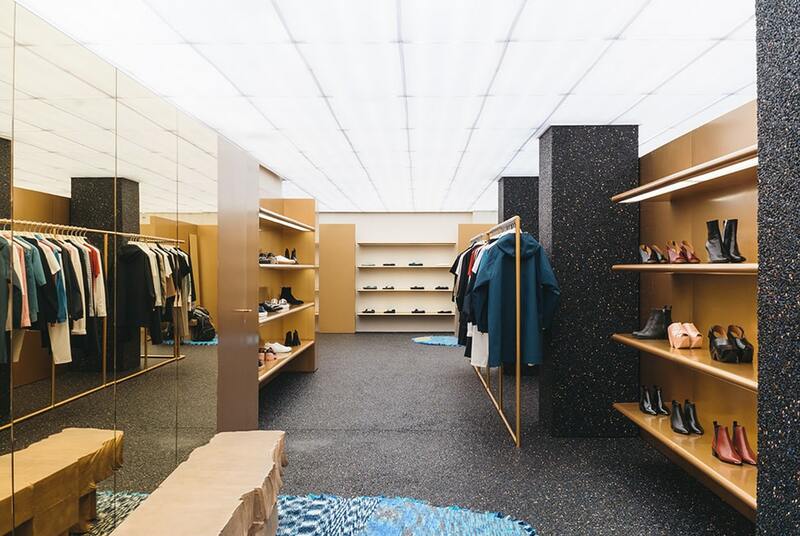 The Acne Studios line offers a wide range of womenswear and menswear, footwear, accessories and denim. The fashion house often employs environmental strategies, producing clothing entirely made with organic cotton or with environmentally friendly materials. 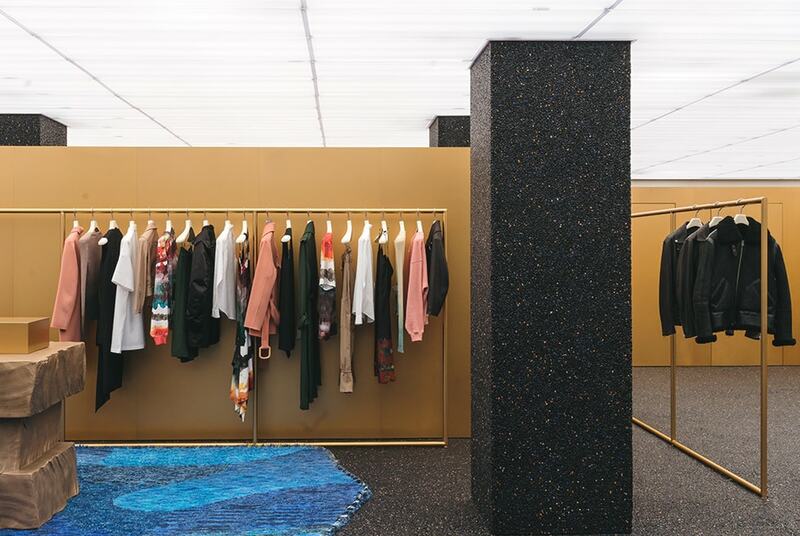 Very original and creative, the Acne Studios stores in New York uses neutral colors for interior design, but energetic and incisive materials. Art and architecture meet each other: indeed, the floor and the supporting columns seem to represent a starry night sky, broken by a small blue spot representing the sea. 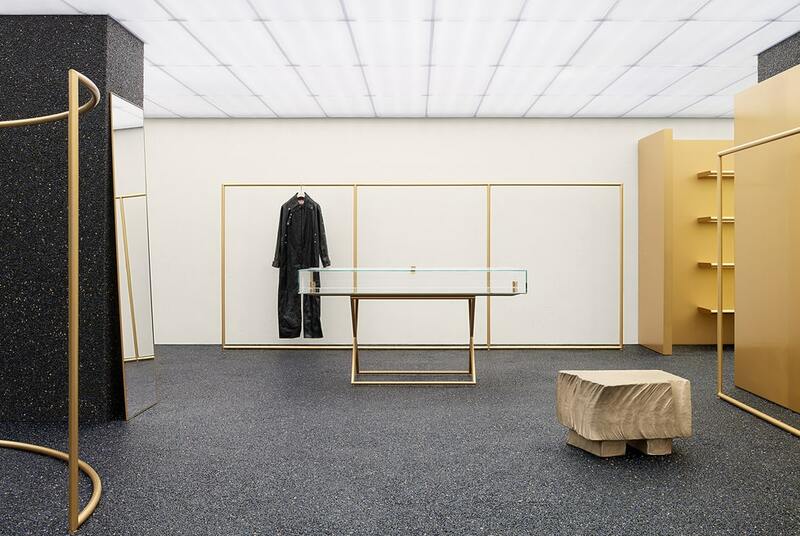 The furnishing elements are mainly made of wood or of polished and worked stone and recall in part the natural element, dear to the Acne Studios philosophy.